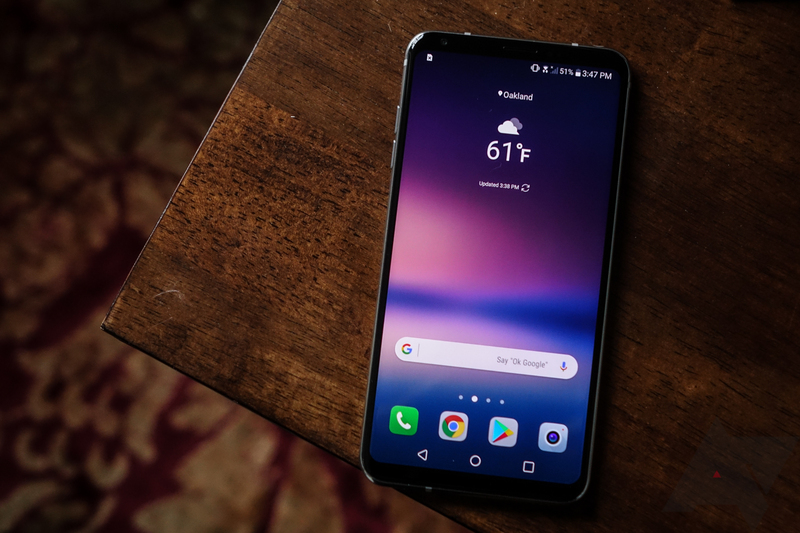 Although there have now been three successors to the LG V30 — V30S, V35, and V40 — the phone has only been out for a bit over a year. Thus, it's pretty surprising that an AT&T unlocked version can now be had for $249.99 new, which is a lot more appealing than its $799.99 MSRP. FM radio might be hideously old-fashioned in this age of constantly connected streaming media, but it's free and sometimes it's just easier than finding streaming content. 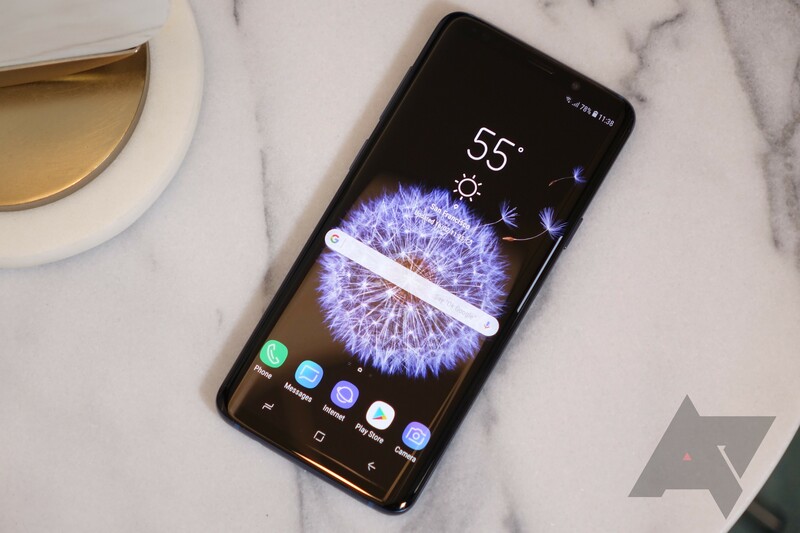 Samsung's phones have hardware support for FM radio reception, but the feature was missing from the unlocked Galaxy S9 and S9+ at launch. With the most recent update, that mistake has been rectified. Android 8.0 Oreo is finally rolling out to unlocked Moto Z handsets with model number XT1650-03 in the United States. The release weighs in at just over 1.4GB and includes Android security patches up to March 1. It comes almost two months after Oreo started reaching Moto Z owners in Brazil. The LG V30's update to Android 8.0 Oreo has been rolling out for months and months. It started in South Korea and later added the V30 ThinQ smart camera and search features, then it spread to the US and arrived for Sprint, AT&T, Verizon, and finally T-Mobile. Now the unlocked US variant is getting it too. 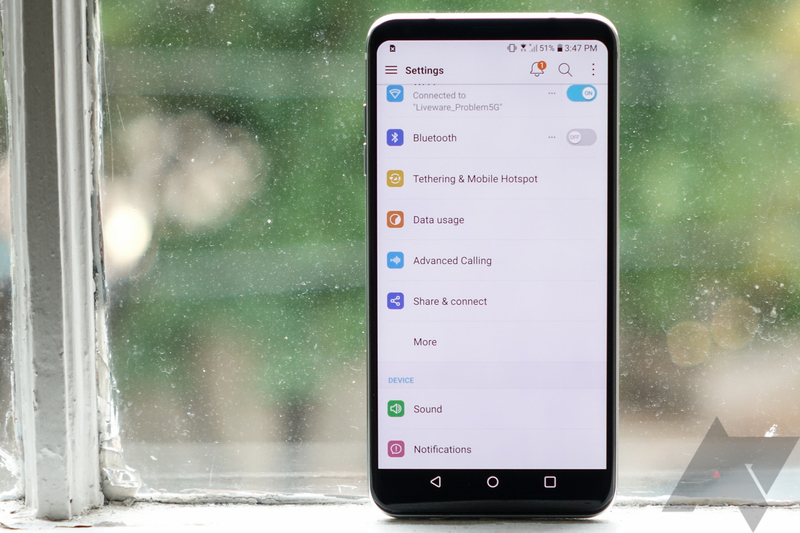 The update has started showing up for owners of the US998 LG V30 today and it brings their device up to version 8.0 of Android. Based on all the other models getting Oreo, this should bring also a rebrand to V30 ThinQ and some new AI features to the device. 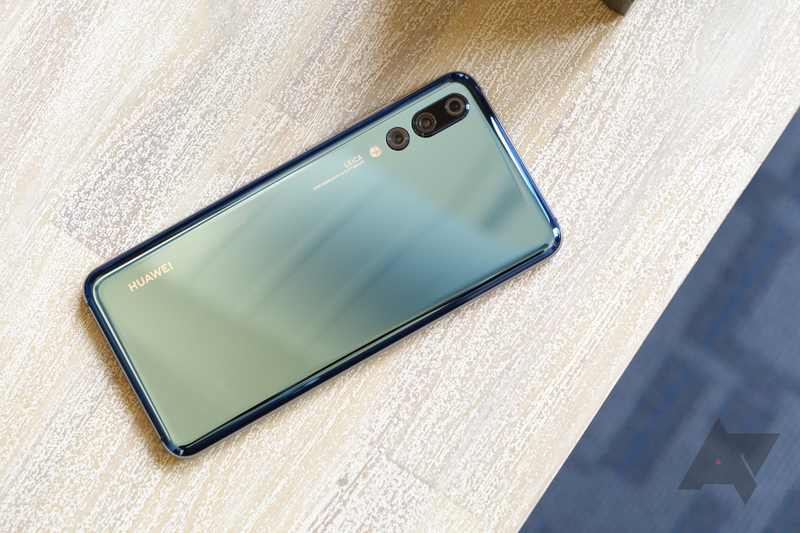 Huawei released its flagship Mate 10 Pro in the US a few months back, but the P20 is not officially destined for American shores. You'll be able to get it on this side of the pond, but only in a few places. There are currently two eBay listings from reputable sellers where you can secure a unit right now. Be prepared to pay handsomely, though. Unlocked Android phones typically receive faster updates, as they are not subject to carrier update testing. Despite this, unlocked Samsung phones in the US are almost always updated after the carrier models, and this time is no exception. 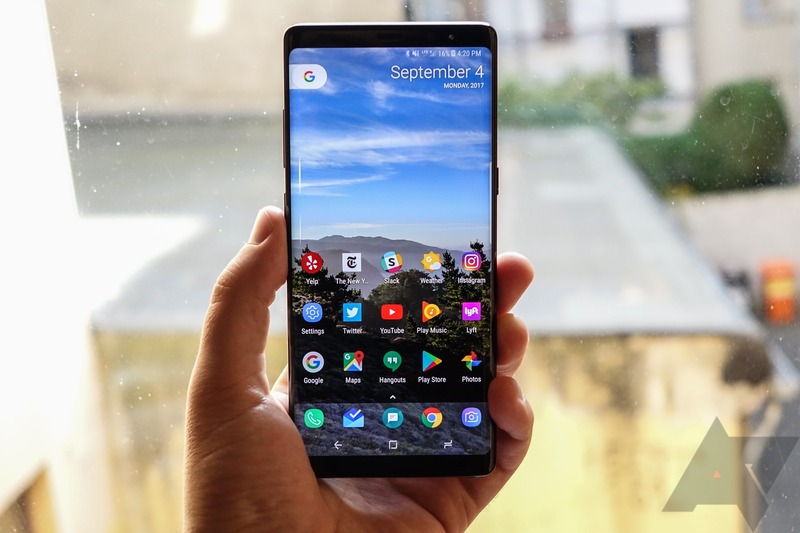 Android 8.0 Oreo is finally rolling out to the unlocked Note8 - after the Verizon, Sprint, AT&T, and T-Mobile versions already received the update. 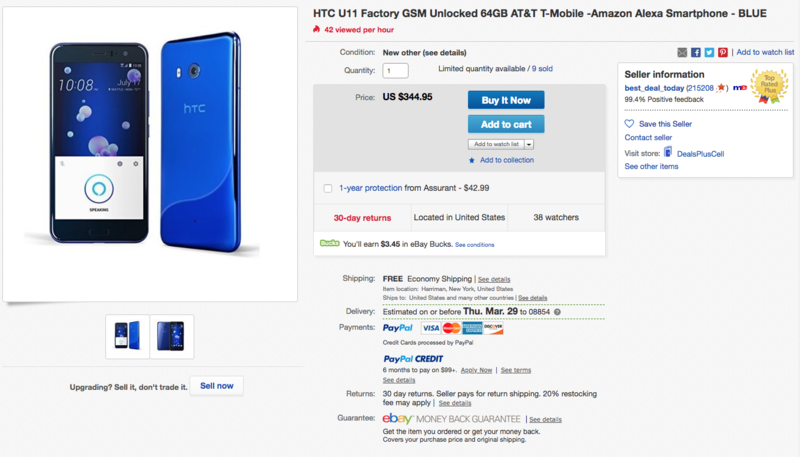 The HTC U11 is a phone that can't be found discounted very often. Sure, HTC has run sales on it from time to time, but the best deal we've ever seen for it was $599 with a free set of JBL Reflect Aware C headphones back on Black Friday. This latest deal takes the price down a lot further to an impressively-low $344.95. Smartphones are getting stupidly expensive these days, with most flagships like the Pixel 2 XL, Galaxy Note8, and iPhone X costing well over $800 out the door. LG's V30 is one of those phones, though it hasn't seen the same popularity that the phones above have, at least among our readership. B&H is now offering a $150 discount on the unlocked V30, dropping the price down to a more palatable $675. 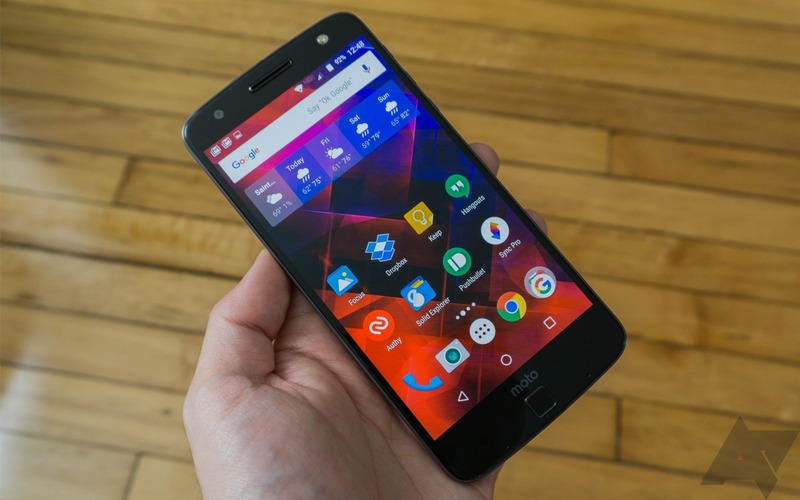 Motorola is offering some nice discounts on several devices for an after-holiday sale, including a significant $100 savings on the Moto Z2 Play. 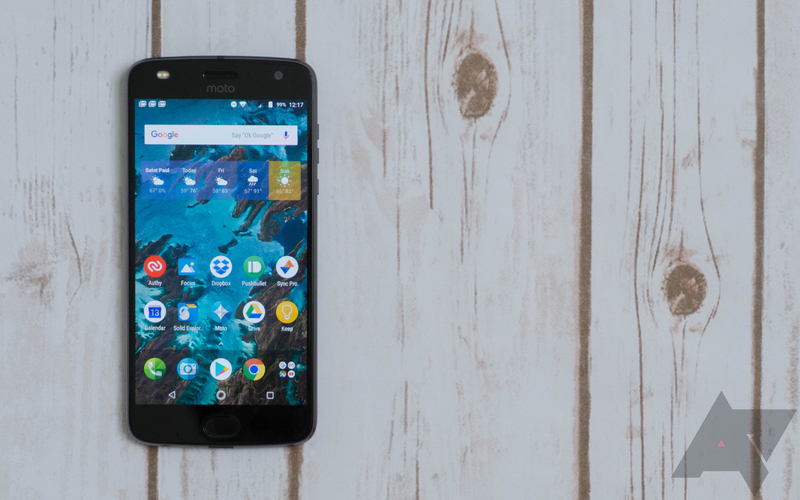 Usually retailing for $499, an unlocked Moto Z2 Play with 64GB of storage is going for $399 at Motorola's website, in either dark gray or gold colors. Best Buy isn't offering the unlocked version, and even the unlocked version without a U.S. warranty is still $75 more expensive at Amazon. LG rolled the V30 out to US carriers almost two months ago, but the unlocked version (US998) has been missing in action. Well, now you can buy it. It's going to cost you a pretty penny, though. 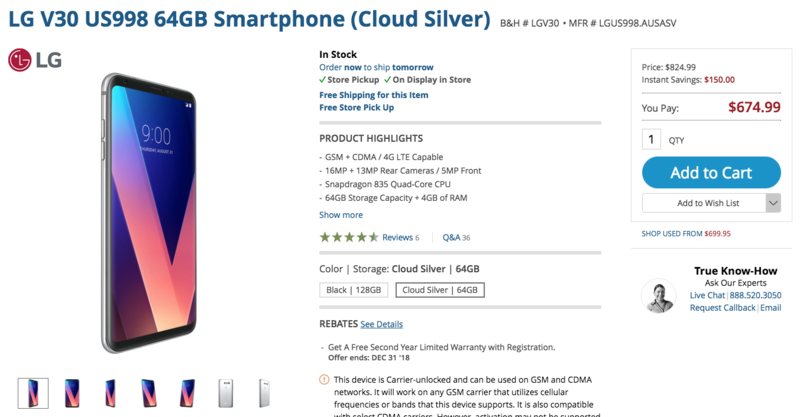 The unlocked V30 is going for $819.99 at B&H. There is, however, a rebate if you want to pick up some more LG gear.